I love making bedrooms cozy this time of year. I usually put a tree up in our room, but this year I went way more simple and I'm kinda loving it! 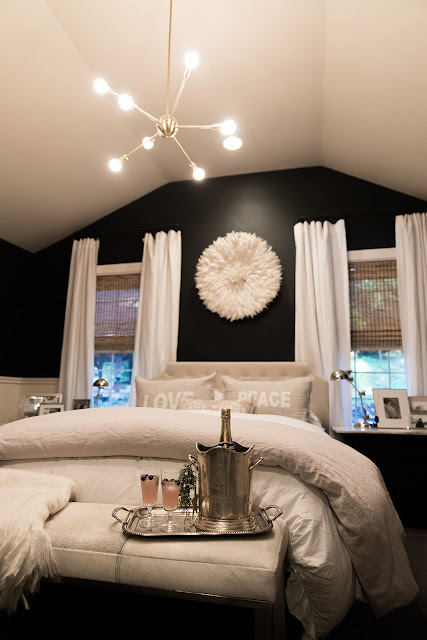 At the end of this post there will be links to many more Christmas bedroom decor ideas, so be sure to check them out! We like to watch movies in bed at night and I thought it would be fun to make it a little romantic with a holiday cocktail. 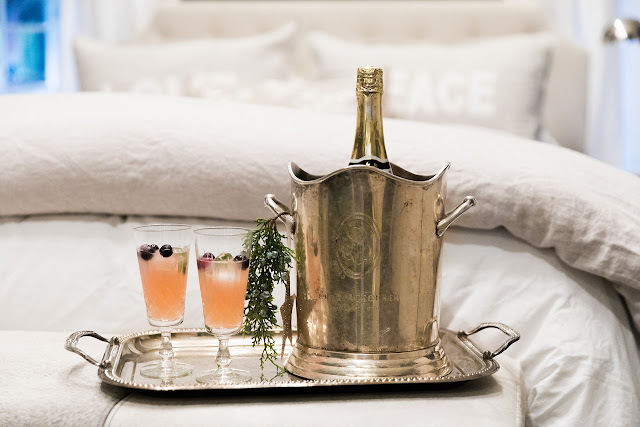 I used a vintage silver champagne bucket on a silver tray. 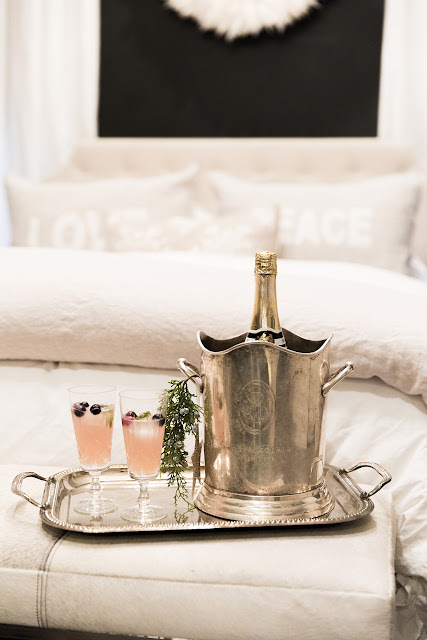 It adds a bit of sparkle to the room too. I created a little Christmas vignette on this new tray. 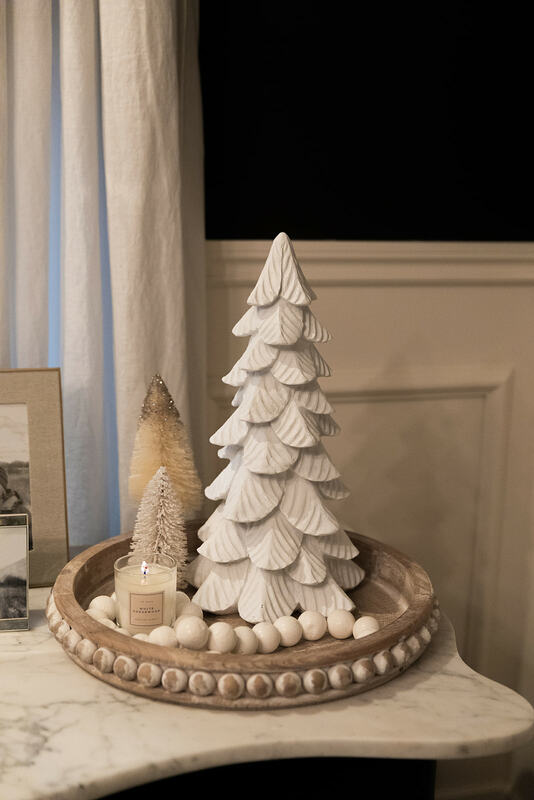 I got the little white tree here and simply added in a few bottle brush trees, a yummy candle, and a bead garland. 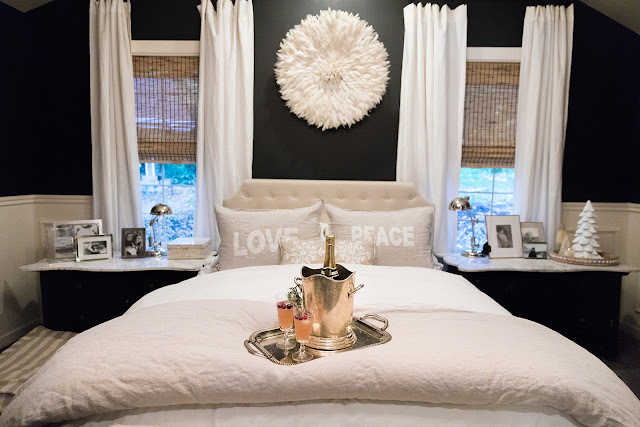 For our bed I just added 2 new Love & Peace shams and a sparkly holiday pillow. I hope you like our simple holiday bedroom. It's very cozy and we love it. 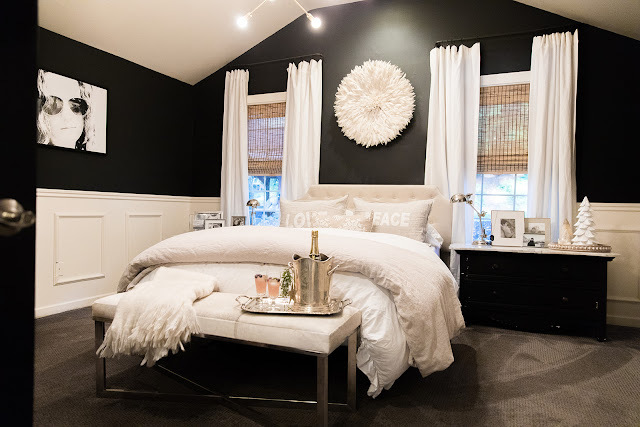 Let's take a peek at some other holiday bedrooms, click on the links below. Ella Claire | Julie Blanner | Craftberry Bush | French Country Cottage Beneath My Heart | Dear Lillie | Liz Marie Blog | Rooms for Rent Boxwood Avenue | Nesting with Grace | Zevy Joy | My Sweet Savannah Love Grows Wild | Nest of Posies | Home Stories A to Z | Nina Hendrick Design Co.